Sony and Evolution Studios has announced that PS4 launch title and first title in the PS4’s Instant Game Collection. DriveClub, has been delayed into early 2014. 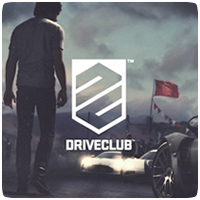 The game has been delayed to allow the team more time to deliver on their vision, and give PlayStation 4 gamers a truly innovative, socially connected racing game. For PlayStation Plus subscribers, the game will still be part of the Instant Game Collection when it launches in 2014, but in the mean time, Sony has revealed that Contrast from Compulsion Games will be part of the Instant Game Collection at launch, in addition to Resogun. DriveClub was also a launch title for the PS4, so the delay has caused quite a bit of disruption for gamers. However, there are still plenty of other titles available for the next-gen console at launch, including Killzone: Shadow Fall, Knack, Assassin’s Creed IV: Black Flag, FIFA 14, Call of Duty: Ghosts, Battlefield 4, to name a few.